The Chicago truck accident attorneys at Rosenfeld Injury Lawyers LLC are dedicated to representing individuals and families who have suffered a serious injury or fatality. Compared to other types of motor vehicle crash cases, such as car accidents, tractor-trailer accident cases are more complicated because there may be multiple parties at fault. Those held responsible may include the owner of the truck, the owner of the trailer, the company that packed the trailer, and the driver’s employer. Each commercial- truck accident lawyer from our firm is well-versed in the federal safety regulations that apply to large truck companies. We have successfully prosecuted cases involving semi-truck accidents across all corners of Illinois and the Midwest. To learn more about your legal rights and your ability to receive financial compensation, complete our case intake form and our semi-truck accident attorney from Chicago will give you a no-cost review of your case. When evaluating the factors evaluated in causing truck accidents, the FMCSA found that 10% of the crashes involved vehicle defects or maintenance problems, such as worn-out brakes or tires. The remaining 3% of crashes were related to environmental factors including inclement weather. Many of our current and former clients have sustained the following injuries related to truck collisions. If you are injured in a truck accident, the team at the Rosenfeld Injury Lawyers will be by your side. We regularly work with accident investigators, re-constructionists, and other professionals to gather the evidence needed to win a case. Here are some of the efforts we take to win our clients’ cases. To successfully resolve a semi-truck case, we may pursue claims against any party who might be responsible for causing your injuries. This effort might require filing a lawsuit against parties like these. When pursuing a Chicago truck accident lawsuit for personal injuries, you must establish that the party that you are suing acted negligently. Then you must connect how that negligence caused your injuries. “Negligence” is a relatively general and subjective term. It basically means unreasonable. Yet, what may be deemed unreasonable by one person may not be judged to be so by another. One method of determining negligent behavior in a commercial trucking case is to establish that there was a violation of the law that applies to semi-trucks. The Federal Motor Carrier Safety Administration (FMCSA) is an agency that regulates the laws that apply to the trucking industry, overseeing virtually every aspect of trucking freight. Our attorneys routinely prosecute truck accident and fatality cases. We base our strategies on detailed regulations to establish negligence or fault in our cases. The more common portions of the regulations used to prosecute trucking cases involve these issues. What Parties may be Responsible in a Trucking Accident? After a simple car accident, it can be quite easy to determine responsibility. The other driver normally will carry most of the fault. This is the case with other kinds of incidents too. Bicycle, motorcycle, and pedestrian crashes follow similar patterns. 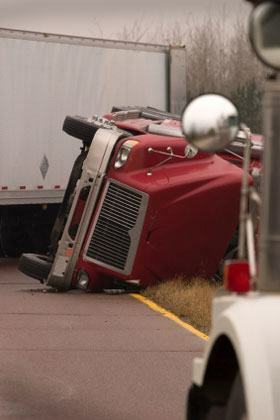 However, trucking accidents trigger different legal and business issues. This will make your job harder when identifying who is responsible for your truck accident injuries. To be concise, anyone’s unreasonable conduct that contributed to your damages (economic or non-economic) may be found liable in court. Here are some profiles of common parties held responsible in Illinois truck incidents. The entity that owns the trailer. Any vendor or party that worked on or for the truck or trailer including repair shops. The maker or seller of the truck or trailer. Every new defendant opens up a new spring for recovery including insurance party. Plus, if the truck accident caused death or serious injury, your attorney will need to determine all possible defendants and categories of recovery before it is too late. What Making Trucking Cases Different Than Other Types of Motor Vehicle Crashes? Truck accident cases differ from other kinds of motor vehicle crashes because the laws surrounding them. Trucking is a business, more so than regular automobile traffic. Plus, trucks present greater dangers due to the size and speed at which they move. Thus, the federal government and many state governments have passed various laws (including The Federal Motor Carrier Safety Regulation Act) related to trucking. These statutes cover everything from insurance coverage to trucker background verification. They touch upon common trucking issues like truck weight and driving under the influence but also other things you might not be familiar with. When accidents and lawsuits arise, these laws govern. It is important to work through them with an attorney to discern the complicated and unique legal issues that will arise in a truck crash case. Plaintiffs have two years to file a lawsuit after a truck accident in Illinois if they sue for negligence related to personal injury or wrongful death. 735 ILCS 5/13-202. Most plaintiffs sue for negligence. It means the defendant acted unreasonably and caused the crash as well as the plaintiff’s damages. Plaintiffs have years two years as well to make a products liability claim following a trucking crash. 735 ILCS 5/13-213. In that scenario, claimants must show that a defective product (such as a tire) let to a crash and injury after being used reasonably and foreseeably. How Long Will it Take to Settle a Truck Accident Case? It may take a few months to even a couple of years to settle a truck accident case. There are a number of reasons for why this process takes so long. Identifying the facts and party at fault can be quite cumbersome. Then, understanding the laws of Illinois that give right to recovery and what that recovery may be can test even the smartest lawyers. Finally, convincing the defendant of your ability to win at trial and by how much will prove tricky. This assumes settlement arises. If the matter goes to trial, it can last another year or two. Therefore, truck accident victims in Illinois should move swiftly an consider contacting an attorney as soon as feasible. How Much is my Illinois Trucking Accident Case Worth? Illinois truck cases average much more than other automobile or pedestrian crashes. They fetch more for several reasons. First, trucks are much larger than other vehicles and can do more damage. Second, trucking is a business and this commercial aspect allows for greater recovery. Third, truck accident victims face more severe injuries and life-long effects. With that being said, what your truck accident case may be worth depends on your individual damages. How were you harmed? Plaintiffs seek compensation for economic and non-economic losses both of which are recognized under Illinois . Here are some common categories of damages for which you might recover. To get a firm sense on what exactly what your case may be worth, speak with an experienced truck accident lawyer today! What Compensation can Plaintiffs in Illinois Seek for a Truck Accident Case? Illinois recognizes the right of an injured person to obtain economic and non-economic damages like these. Medical Costs: This includes all expenses for past and future care, such as ambulance, emergency room, hospital care, surgery, and physical therapy costs, assistive medical devices, and prescription medications. Wages: You may recover your lost wages if your injuries prevent you from working following a truck crash. If you are not capable of returning to your profession due to limitations imposed by your injuries, you may recover future lost wages for the remainder of your working life. Pain and Suffering: Though this is difficult to quantify, you may recover financial compensation for pain that you endured following an accident as well as the pain that you will likely endure for the rest of your life. If the crash resulted in a fatality, the family of the deceased may recover compensation for the loss of financial support as well as the intangible loss they will experience due to the death. Sometimes the intangible losses include the loss of society or loss of consortium, depending on the context. Consult an experienced attorney to discovery what avenues of recovery you can pursue. What are Some Examples of Trucks Accident Settlements? 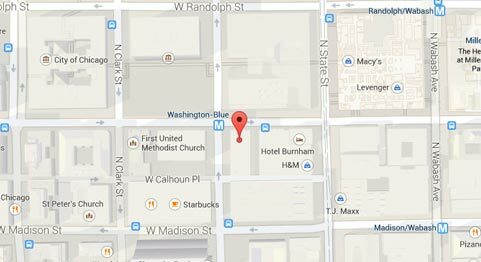 $335,000 SETTLEMENT; TRUCK ACCIDENT; ILLINOIS. Here, the plaintiff was backing up his car in a suburban town. He did not spot a truck directly behind him. They crashed into each other. The plaintiff was hurt badly. He herniated his disc at the C6 point. That left him with lots of bills, pain, and even a disability. There were actually two defendants in this lawsuit. The first was the actual truck driver. The other was DHL. DHL oversaw the dock where the accident happened. It tried to put the blame squarely on the driver. Yet, it did not want to test its theories in court. DHL settled for $135,000. The trucker gave $200,000 to the plaintiff. $1,100,000 SETTLEMENT; TRUCK ACCIDENT; MISSOURI. This was not a normal truck accident case. The plaintiff worked for Consolidated Trucking. His truck clipped the back of a car and swung around over ditch. As he tried to leave his vehicle, another truck came flying into the back of his. That crash sent him over a ditch, nearly fifty feet downwards. The man fractured several bones. He sued the other trucker. He also sued that trucker’s boss. He claimed negligence. He sought damages for pain, bills, and lost wages. Since the defendant was speeding and on the road too long, it made the plaintiff’s own errors less relevant. The defendants recognized as much when they offered to settle. The plaintiff received the figure listed above for his losses. $10,900,000 SETTLEMENT; TRUCK ACCIDENT; ILLINOIS. Here, a trucker crashed into a state trooper on the side of the road in the north suburbs of Chicago. After the accident, a fire erupted and the cop lost his life. His new wife survived him. She sued the trucking company (UVL) for wrongful death. Apparently, the trucker had been on the road too long. Also, he made no effort to avoid the accident. Similarly, the defendants could not make a real effort to avoid civil liability. When they settled just about one year later (a short time for this kind of case), they realized their legal options were limited. The woman recovered over $10 million. $22,520,000 JURY AWARD; TRUCK ACCIDENT; ILLINOIS. In this case, a young woman brought a wrongful death lawsuit. She did so after her husband was struck and killed while repaving roads on the Illinois tollway. An Overnite trucker slammed into the deceased man’s vehicle and that collision left him dead. The surviving wife was carrying child when the incident occurred. Aside from wrongful death, the complaint also listed negligence as a contributing factor. The trucking company pointed the finger at other parties. In the end, a jury decided these attempts were in vain. It saddled the transportation company with an 8-figure judgment. $18,500,000 JURY AWARD; TRUCK ACCIDENT; INDIANA. This truck accident happened on I-74 in Indiana. A Werner truck slammed right into the plaintiff head-on. The man’s car was sent flying across the road. He sustained major brain damage and required medical attention for the rest of his life. He could no longer work or play the same way again. He sued Werner and the trucker. Both refused to settle. The matter went to trial. A jury found in favor of the plaintiff. It ruled that the defendants were completely at fault. The plaintiff recovered one of the largest trucking accident verdicts in state history. 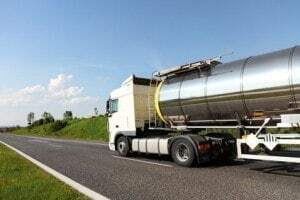 If you have been injured in an Illinois trucking accident and need to consult with a truck accident attorney, Chicago residents should contact Rosenfeld Injury Lawyers to learn more about their rights and legal options. Our goal is to help you focus on your physical recovery so that you do not need to worry about the cost of your medical care and expenses. We will work to make the legal process as simple as we can. We will meet with you at the location of your choice if you cannot travel to us. Our Chicago truck accident attorneys only collect a fee if we secure compensation on your behalf. You never have to worry about up-front fees or monthly legal bills. If you or a loved one was injured in an accident with a commercial truck, we urge you to contact a lawyer today, as there are restrictive statutes of limitations for initiating an insurance claim and lawsuit after trucking accidents in Illinois. Your failure to act promptly can adversely impact your legal rights in the future. We invite you to contact our office today for a free review of your case with an experienced attorney. Complete the case intake form here and we will reach out to you the same day to discuss our past truck accident settlements and the prospects of your case. For more information on Illinois truck accident cases, please visit the Free Truck Accident Guidebook where you can review information about your legal rights and options for financial recovery.